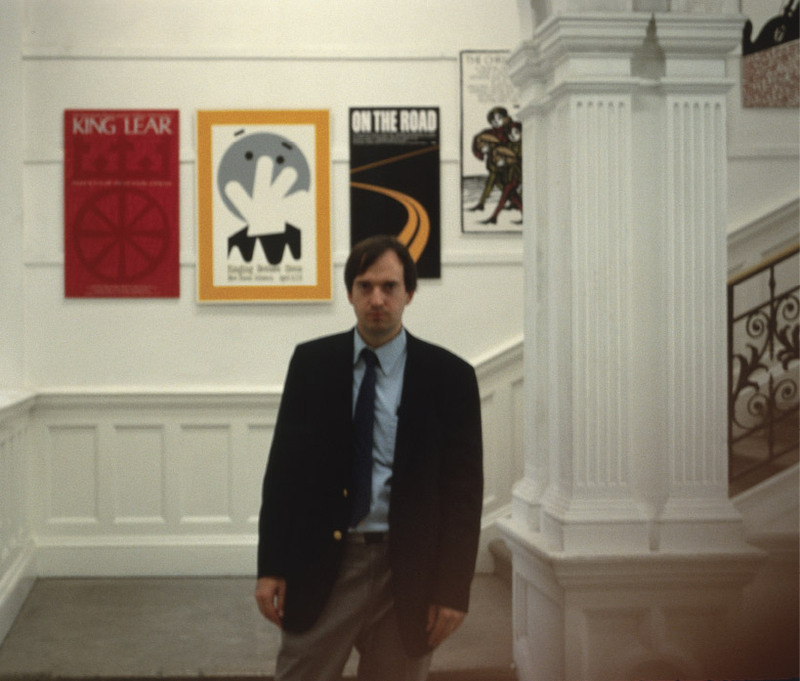 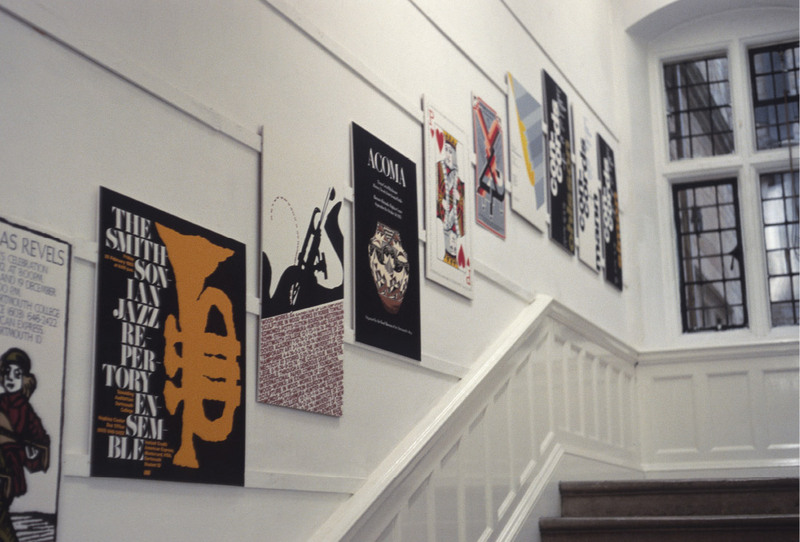 ​As a reciprocal gesture arising from their participation in Dartmouth’s Artist-in-Residence Program, the Ruskin School at Oxford University invited Charles Gibson to mount a retrospective of his poster work. 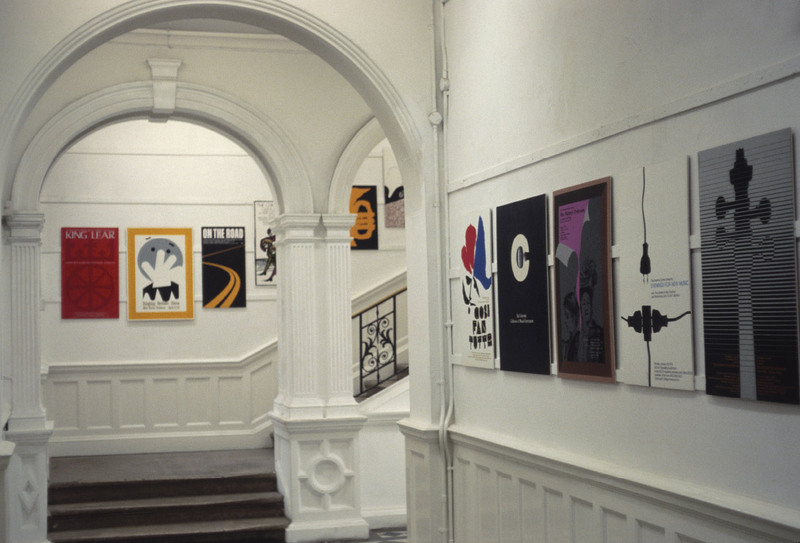 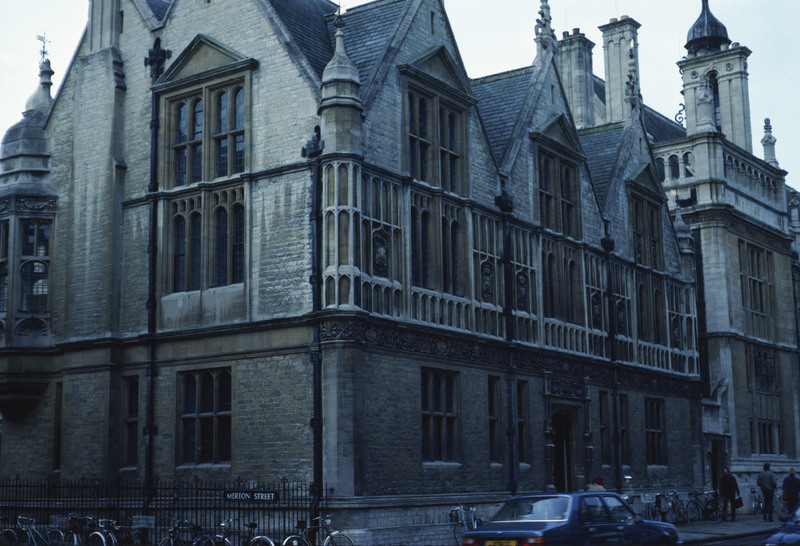 At Oxford, exhibiting artists are expected to help with the logistics of their show in a very hands-on way. 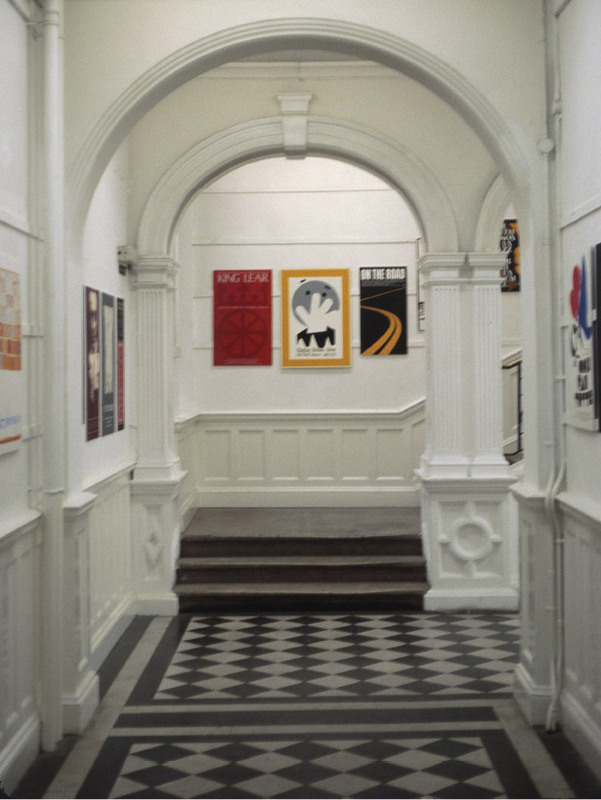 In keeping with these traditions, the Designer dry-mounted the prints, flew to London, hand-delivered the work to the School’s gallery, hung the show, and provided wine and cheese (at his own expense) for the opening!